One of the most important things that you can do as a parent is establish a connection with your child. In fact, children need connection more than anything else. 1. Make one-on-one connections with your child. Instead of asking a question from across the room, take an extra 15 seconds to walk to your child, get down on their level, maybe tap their shoulder or touch their arm, and ask the question. Chances are they will engage right away (instead of ignoring you) and answer you because you have made that personal connection. 2. Connect with your child as many times per day as possible. Every positive connection with your child means fewer disconnected or frustrating moments for both of you. 3. Begin positive connections when your child is young. The more positive connections you make early on, the better they will respond and communicate as they get older. Over time they will have a strong enough connection with you that you no longer need to be right in front of them for them to answer your question. You can “up” your child’s neurotransmitters to build a better parent-child connection, which means improving your relationship with your child by giving them positive reinforcement in a variety of ways that will allow them to thrive, feel happy, and be healthy. 1. Tell your child about something that is going to happen that is exciting, so they can look forward to it. This improves the neurotransmitter Dopamine which is the anticipation chemical. 2. Hug your child and let them know they are important. Oxytocin is the chemical that reacts through touching. 3. Give your child praise for good behavior or a job well done. This improves Serotonin which is about feeling satisfied. 4. Finally, give your child the chance to run and play or engage in a fun physical activity, especially when they are stressed or feel anxiety. Endorphins are engaged through active movement. The last key bit of advice is to self-assess. How connected you think you are with your child right now? On a scale of 1 to 5 what grade would you give yourself? 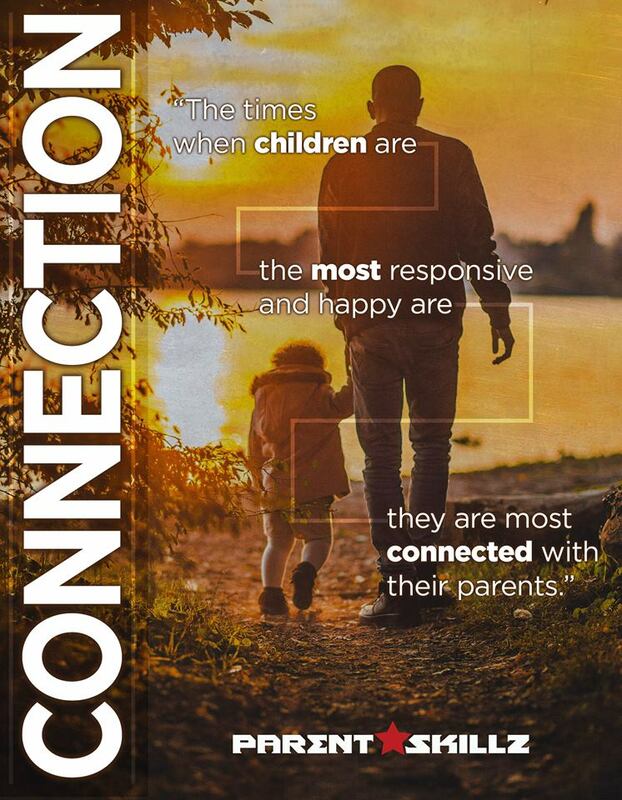 Put these tips into action and make a better connection with your child because the more you connect, the better. I hope you enjoyed this blog!